The first priority in saving money and carbon emissions should always be reducing energy wastage – turning off appliances when they are not in use and measures such as draught proofing and insulation, which can be financed through the Green Deal. 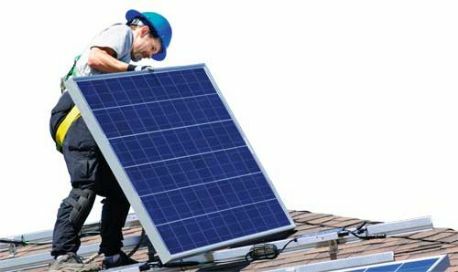 However, Green Deal finance and other subsidies are also available for options such as photovoltaics (PV) and heat pumps, which are likely appeal to consumers who have already taken basic energy efficiency steps. Distribution network operators need a better understanding of these technologies and how customers use them so they can develop smart networks that will ensure they can be accommodated. The relatively moderate volume of low carbon technologies plugging in to electricity networks is already causing concern in some locations, and as the decarbonisation of Britain continues, these issues will become more widespread and more significant. Projects such as the Customer-Led Network Revolution (CLNR) – the UK’s largest smart grid project – are already testing innovative technical and commercial solutions. A number of customers involved in the CLNR project are generating renewable energy through PV and we are actively monitoring the impact of this on the local electricity network. We are also helping customers to better understand their own generation and we are finding that they are interested in adapting their daily routines to make best use of their own generation. The CLNR project is also studying heat pumps, finding out exactly how and when customers use them and how they affect the network, particularly when a significant number are used in the same locality. Some of these customers have opted for a time of use tariff so they can benefit financially if they reduce peak time consumption. In addition, we are trialling a heat pump with thermal storage (incentivised by an attractive tariff) where the customer allows the network operator to restrict the heat pump’s operation at certain times, with the thermal store maintaining comfort levels in the home. The results of the heat pump and PV trials will enable us to develop a suitable blend of financial incentives and technical solutions to provide acceptable ways of accommodating the widespread adoption of these technologies, while managing the impact on the network at peak times. Another time-of-use trial involves customers without PV or heat pumps. This proved popular (we were oversubscribed), with customers showing a huge appetite for taking ownership of their electricity consumption in return for lower bills. Many in the trial are doing exactly that, lowering their overall fuel bills as well as reducing the demand on the network. The Green Deal is just one of several incentives encouraging the uptake of low carbon technologies and increasing the demand for electricity, but the current debate on how much generating capacity is needed to provide a reasonable margin has focused almost entirely on how many new plants need to be built, how quickly this can be done, and at what cost. Much less has been said about the role of smart grids and demand-side measures in managing the UK’s capacity. Achieving a degree of customer flexibility in significant numbers is a win-win-win situation: offering customers a way to save money; helping to accommodate the anticipated mass adoption of low carbon technologies; and reducing demand at peak times. This demand reduction helps not just to address issues on the local electricity network, it could also reduce the amount of generating capacity required nationally. What is clear, even at this preliminary stage of the CLNR project, is that customer flexibility offers a quick, cost-effective method to help networks reduce peak demand and this could play an important role in the cost effective creation of sustainable, low carbon energy sector in Britain. This article first appeared in Utility Week’s print edition of 29th March 2013.